Weather permitting, Glendening Boathouse will be open for boating. Please note: No swimming, sunbathing, or picnicking is permitted at any time. Available watercraft include: canoes, recreational kayaks, sea kayaks, rowboat, pedal boat, Pico sailboats, and stand up paddle boards. 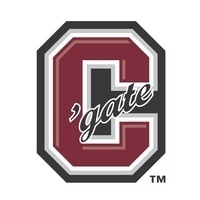 Vessels are available for use on the lake only, and Colgate University ID is required to check out all equipment. All hours are weather dependent. On questionable weather days call the Huntington Equipment Room at 315-228-7620 to ensure that the Boathouse facility is open.